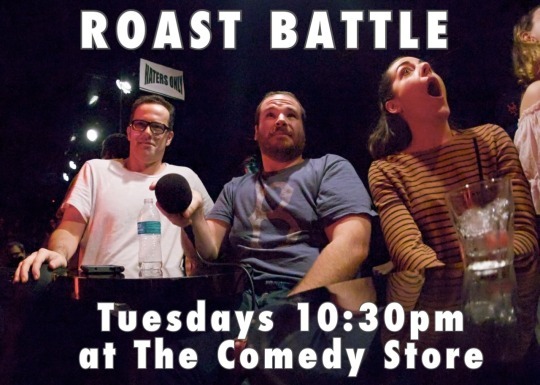 It’s Tuesday and that means it’s time for Roast Battle. Enough said. 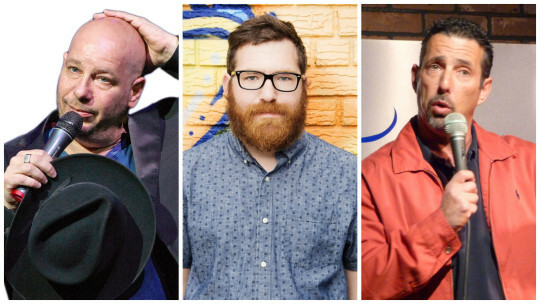 We’ve got a great line up of judges to separate the men from the less funny men. The Roastmaster General Jeff Ross will be the ultimate authority on the judge’s panel in the Belly Room tonight. Second in command will be the OG Roast Battle World Champ, Mike Lawrence. And rounding out the squad, coming straight from New York, is “The Don” Rich Vos. In our first fight in a night of tight fights, Timothy McGorry attempts to beat a man that has been punched in the face several times, Cody Morley. Cody has a record of terrible battles, but he’s been away from it for a while. Hopefully he’s been on some sorta spiritual quest that ends with him being able to write a decent joke. Being punched in the face is a good way to describe Cody. He may be the most unlikeable battler of all time, which is saying a lot. Timothy, on the other hand, won his first battle and may be walking into a easy victory in his second. I once went on a weird car ride with Tim from some strange gig in Long Beach to The Comedy Store, and he’s infinitely more affable than Morley. Will Cody get the upset or will Timothy add his name to the list of people who’ve pummeled his stupid face? 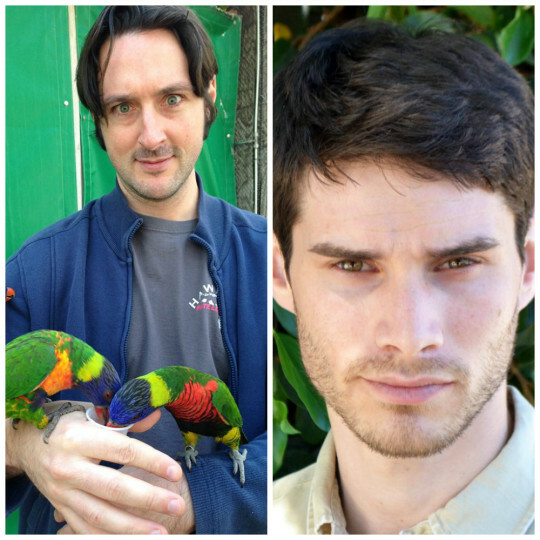 Our second match features open mic reviewer Marty Wurst taking on white rapper Michael Schirtzer. Whatever happens in this battle, one thing’s for sure, this will be blogged about. I’ve been on a few car rides around town with Marty, and he’s a great guy. His first battle was a bit bizarre and ended in him losing. We saw Michael Schirtzer two weeks ago suffer a loss to Mark Stevens. So these competitors are both coming off losses and hungry for wins, and both of them look like they’ve genuinely tried to harness the Jedi mind trick. Tonight we’ll see what happens when two of the whitest kids you know go to war. Next up, Lonnie Johnson goes toe-to-toe with Eric Abbenante. This looks like the battle between a defendant and the lawyer that couldn’t get him off. Both these dudes have had an inconsistent battle past, but have had strong showings more often than not. 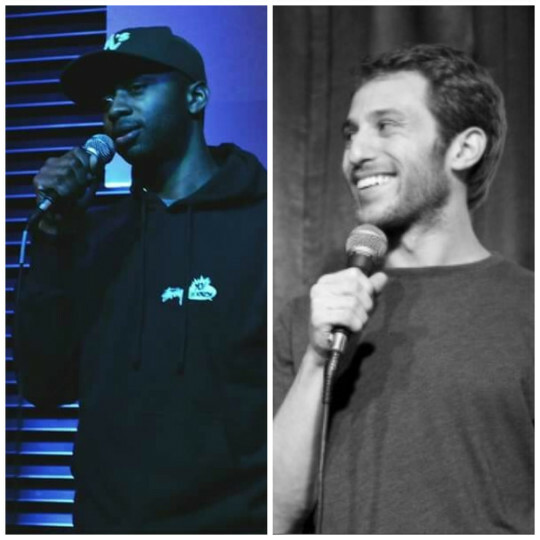 Eric Abbenante doesn’t shy away from using race-related punchlines, and you can expect Lonnie Johnson to retaliate with some Jew jokes. It might turn into Dave Chapelle’s recent bit about comparative suffering, in which case the Jews always win. Lonnie had a promising debut that he has yet to top, but tonight could be the night he fulfills his potential. Eric is a brightt, young student of the game, so all in all this will be a tight contest. Mike Schmidt steps back into the ring to take on Victor Martinez Jr. in the fourth undercard of the night. Schmidt has an impressive undefeated record punctuated by the fact that he has straight up been beheading motherfuckers. He’s got a deadly combination of writing wonderfully creative jokes and being a difficult target to write jokes about. 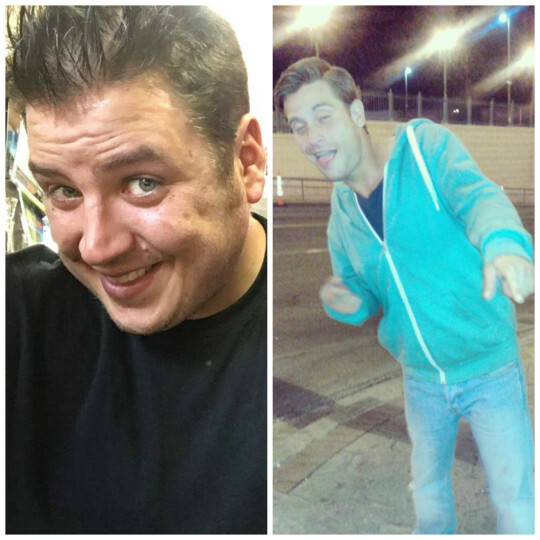 Victor is no slouch, but the host of the popular Garage Mic has his work cut out for himself as faces his most challenging challenger in the unroastable Mike Schmidt. This might be the first time in Victor’s life he bites off more than he can chew. 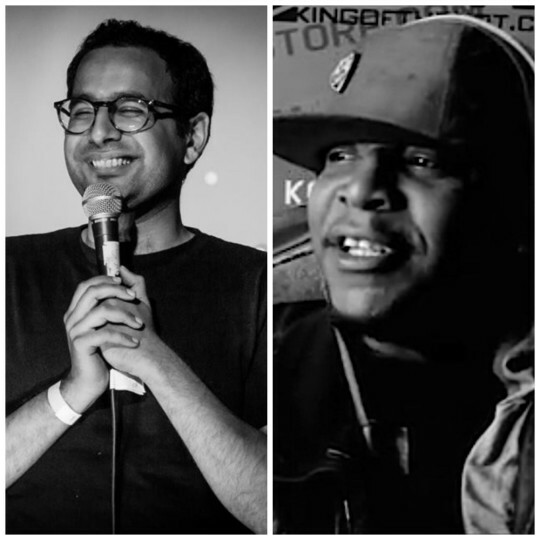 In our penultimate battle, Omid Singh seeks to take out another battle rapper as he faces off against F.L.O. So far two King of the Dot battle rappers have come to the Belly Room and had absolutely explosive debuts. The first was Corey Charron, who lost his second battle to Omid Singh. Now Omid faces the second King of the Dot competitor after an impressive win over Jay Light. Omid is one of the most respected battlers in the game and throws wild, unexpected punches. F.L.O. will have a hard time topping his debut, and Omid will have an equally hard time toppling this verbal force. However it goes down, this will be a high-energy barnburner. In the final battle in this night of undercards, Keith Carey throws down with Jamar Neighbors. 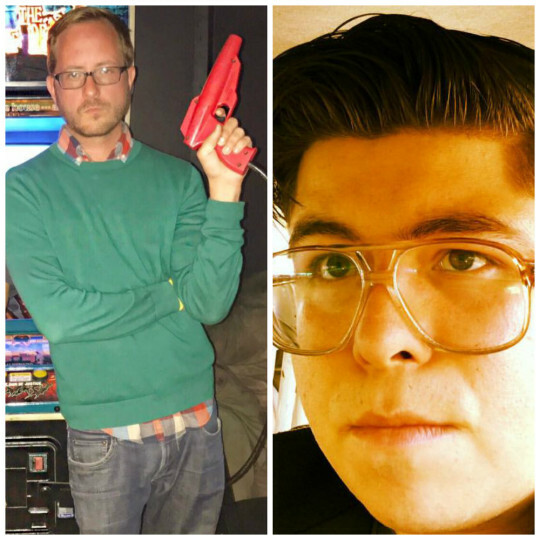 These are two of the most dynamic, entertaining and hilarious Roast Battle staples in the Belly Room. Both have been all over the Comedy Central show, and both have had some of the most gratifying battles in the history of the show. Keith was last seen knocking off New York’s Scott Chaplin on his home turf. Outside of the Wave, we last saw Jamar score a massive win over the massive Guy Branum. It’s the battle of OC sewer monster versus the best abs straight outta Compton. 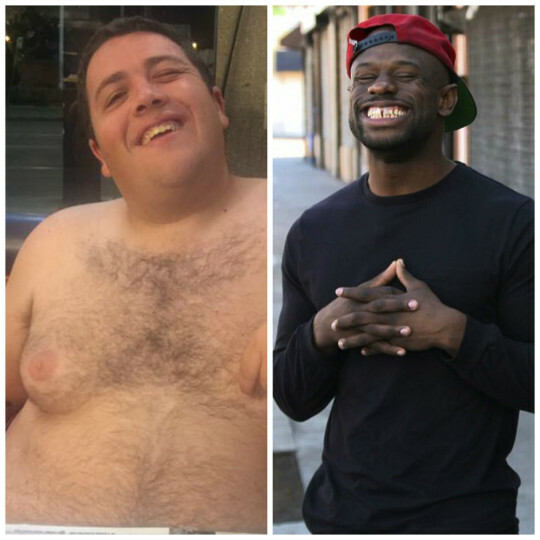 There’s plenty to roast about these two, but more than anything they are legit performers and top-notch writers. It’ll be a captivating contrast of styles with a satisfying pay off.